EXCELLENT!!! They arrived on time based on their commitment and finished a day earlier. I can't express enough how professional the job was done. 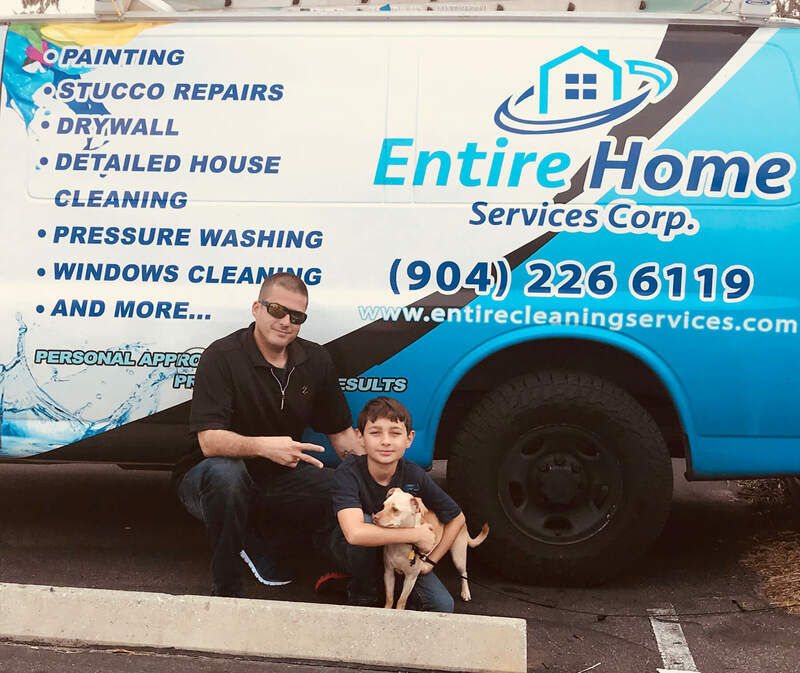 The clean up was outstanding and the paint job was perfect.I would recommend Entire Home Services to anyone and will be using them int he future. Nothing brightens up a house or business more than a fresh coat of paint. A quality paint job takes patience and attention to detail. Entire Cleaning Services uses brand name products and supplies to get the job done in a timely manner with perfection in mind. From lending advice on colors and brands to creating a flexible project that puts you at the forefront, our main goal is to make you happy and establish peace of mind. We guarantee that you’ll be impressed with the final results, whether you want to apply new paint to cabinets, ceilings or bedroom walls. Painting the outside of a home or business takes careful consideration in regards to weatherproofing and durability. We have the skills and equipment to properly paint even those hard-to-reach nooks and crannies. We’ll work with you step by step until your home is a picture of painted perfection. Family owned business with over 10 years of professional experience. Affordable payment plans so you can achieve the standard of maintenance you desire. Accredited by the Better Business Bureau for 5+ years. Up to date on the latest trends and products for professional painting. Every paint project is tailored to fit your life and schedule. 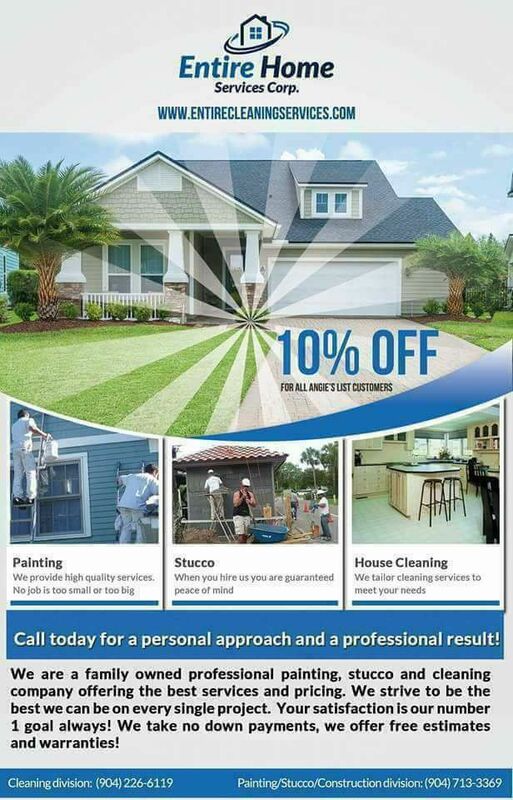 We provide professional painting services for the Jacksonville Area.